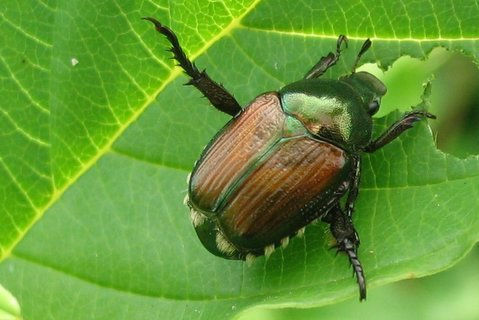 Japanese Beetles causing damage across the KC Metro « Home Rental Services, Inc.
Have you seen any Japanese Beetles on the plants or shrubs in your yard? Take a look at the picture. They usually have an iridescent green thorax and head and copper colors on their bodies. In a way, they are pretty. The problem is that they are destructive. We’ve heard from some of our landscaping vendors that this beetle is causing damage all over the Kansas City metropolitan area. They damage plants by “skeletonizing” the foliage, that is, consuming only the leafy material between the veins of leaves, leaving skeleton leaves behind. It’s called a Japanese Beetle because of where it originates. It’s not a problem in Japan because there are many natural predators that keep the population in check. But in the United States, there really aren’t any natural predators and they can quickly get out of control. When treating for Japanese Beetles, a multi-part attack is best. Purchase Japanese Beetle killer spray (here’s some for $10 at Home Depot.) The nice thing about this spray is that it also works against aphids, white flies, bag worms, spider mites, leaf miners and more. Hand pick. We know… it’s kind of gross. But Japanese Beetles are slow and easy to grab. If you have the stomach for it, you can remove them from plants and drop them in a bucket filled with soapy water to kill them. If you have a major infestation, it’s a good idea to take some preventative steps for next year. Consider researching grub guard and milky spore products that you can use to treat the ground. It takes about a year for these to become effective, but once in place they can protect your yard for up to 10 years. 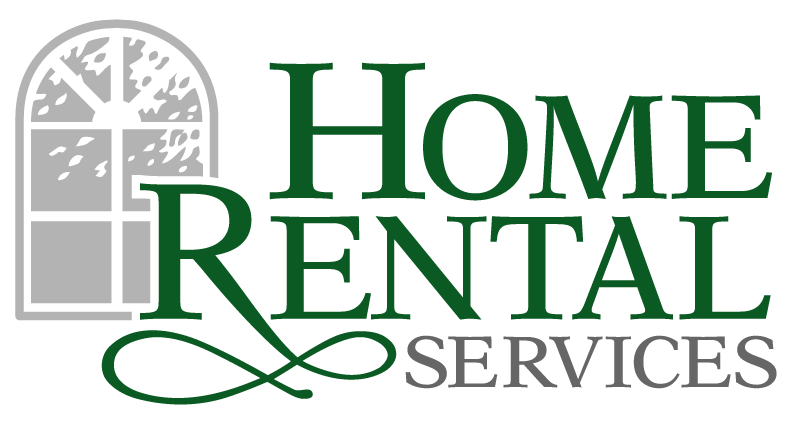 Finally, if you are a renter with Home Rental Services, have tried some of these measures, and are still having a problem, please contact your property manager for help with setting up professional treatment. 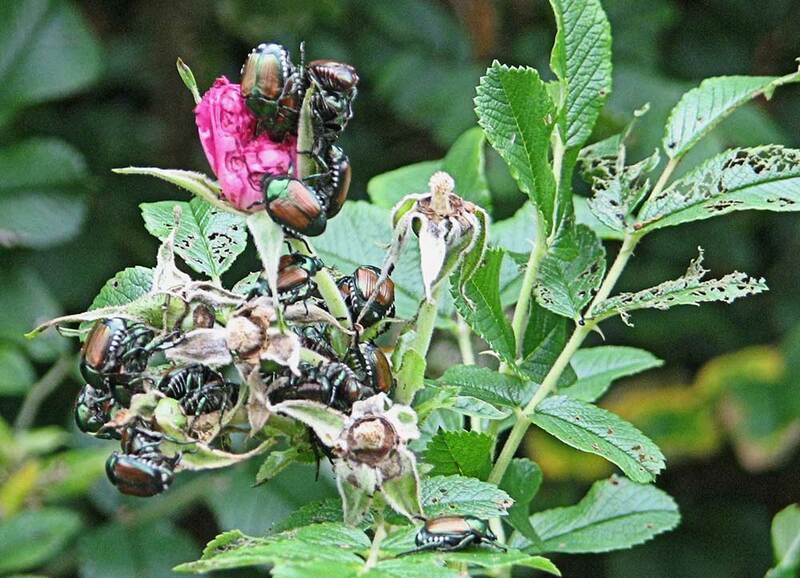 We hope you haven’t seen any Japanese Beetles in your yard. If you have, we hope this article was informative and gives you some steps you can try to take care of the problem! An easy way to clean window tracks!